Washington, April 17: US President Donald Trump has vetoed a resolution passed by Congress to end support for the Saudi-led war in Yemen, describing the congressional measure as an "unnecessary" and "dangerous" attempt to weaken his constitutional powers. It was the second time during his presidency that he has vetoed a congressional motion. 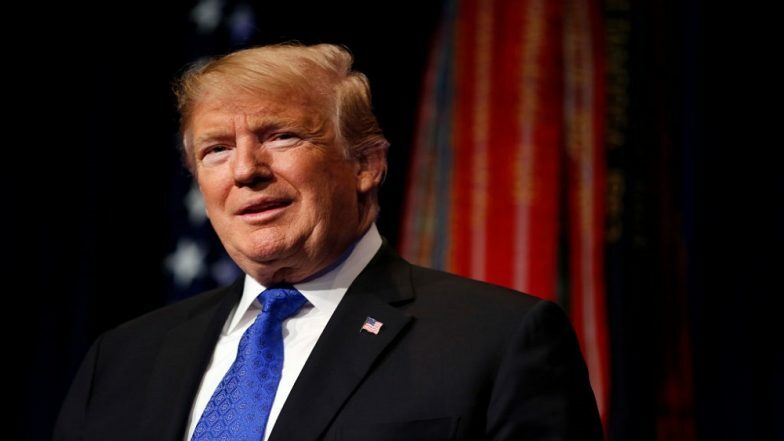 Last month, Trump vetoed a motion which disapproved of his emergency declaration to erect barriers along the country's southern border, CNN reported. Donald Trump, Bernie Sanders Emerge Top Fundraisers for 2020 US Presidential Elections. The President said the measure was unnecessary because, apart from counter-terrorism operations against Al Qaeda and against the Islamic State on the Arabian Peninsula, the US was not actively participating in hostilities in Yemen. Trump said that there were no US troops "commanding, participating or accompanying" Saudi coalition forces fighting against Houthi rebels in Yemen. Supporters of the War Powers Resolution -- which limits the President's ability to send troops into action -- say that the US shouldn't be involved in the war without explicit permission from Congress. Opponents of the measure, however, say the US does not have "boots on the ground" and was offering non-combat technical assistance to Saudi Arabia, an ally. President Trump Amasses Massive Campaign Funds War Chest Before 2020 Re-election Run. Opposition in Congress to Trump's policy on Yemen grew last year after Saudi agents killed journalist Jamal Khashoggi at the Saudi consulate in Istanbul. The House of Representatives, which is controlled by the Democrats, passed the resolution on Yemen at the beginning of April by 245 votes to 175, while the Senate did the same weeks earlier with 54 in favour and 46 against the motion. Both the House and Senate require two-thirds majorities to reverse Trump's veto. House Speaker, Democrat Nancy Pelosi, was among those to condemn Trump for the move.